The 14-foot hull was the third hull design to be introduced by OMC boats, hence the 300000-series model number. First introduced in 1965, as an Evinrude-exclusive, in both outboard and sterndrive models. The outboard 14-ft models were dropped after only one model year. 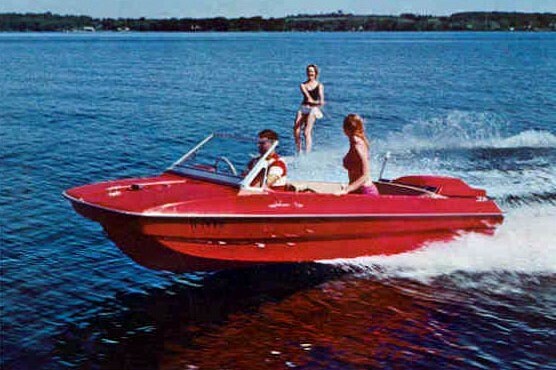 For 1966 - 1968 , only 90 hp (V-4) sterndrive versions were offered, but by both Johnson (Caprice) and Evinrude (Playmate) with deck/hull & trim colors, being the only significant difference the Caprice and her Playmate twin.